What a week! This past Sunday through Tuesday, we made our first public debut with our reusable glass water bottles at the 2011 International Home + Housewares Show. It was an exciting time as so many people came to see our bottle and hear its two stories. 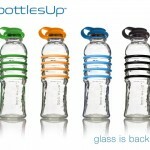 BottlesUp reusable glass water bottles were designed by nationally-acclaimed architectural glass artist Laurel Herter. More than 2 years ago, realizing the problems of plastic to our health and the environment, Laurel realized she had a solution right there in her studio – design a reusable glass water bottle. The glass water bottle is designed for the modern hand with a slight curviture and rings to be an easy, natural fit. Also, it has a rounded lip, like old-fashioned milk bottles, making it easy to drink from. But the art story continues, the bottles are made using ancient glass techniques in a modern facility. Unlike manufactured bottles, our bottles have the natural beauty of glass, made from one piece of glass, and placed in molds. The glass is finished with a ‘puff of air’ (this process is called semi-automatic) to ensure we get a consistent interior diameter so we can get a water-tight seal with the silicone cap. 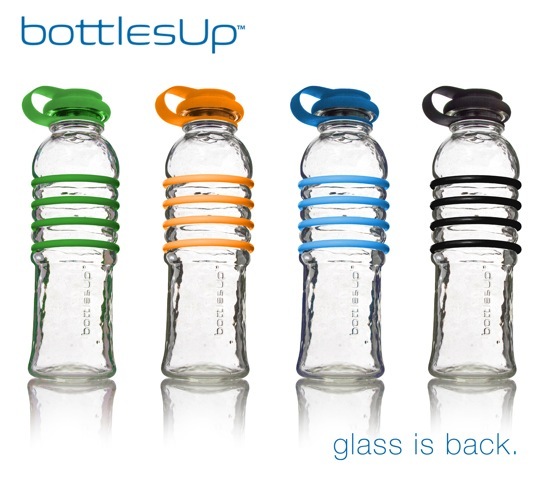 BottlesUp glass water bottles have the lowest carbon footprint in the industry. The enrite product and our packaging is 100% sourced in North America. The glass in the reusable water bottles is made from a minimum of 75% post-consumer recycled glass, that is sourced on site in Pavisa, Mexico. (No slow boat from China for us or for you!) Glass is naturally BPA-free and PVC-free. The colorful food-grade silicone grippers and cap are made in Maine. 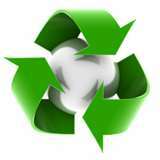 We use minimal packaging that makes the most of recycled materials. You’ll find zero plastic in the product or the packaging – zero, zilch, nada. We hope it’s the first of many times we get to tell our story.